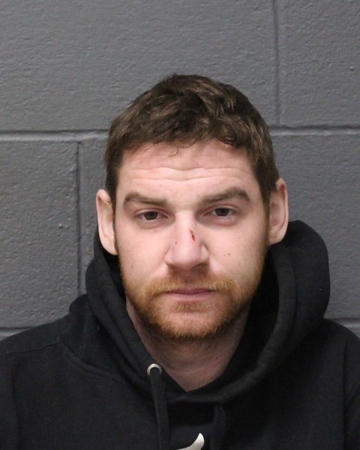 SOUTHINGTON - A local man was arrested Thursday and charged with drunkenly causing a three-car crash in December on Meriden-Waterbury Turnpike. Travis Kiyak, 28, of the Marion section of town, was traveling west on Meriden-Waterbury Turnpike when he crossed the yellow center lines and struck the rear, driver side of a vehicle that was heading east before striking the front end of another vehicle that was also traveling in the opposite direction on Dec. 1, at about 5:50 p.m., police said Friday. The collisions happened near Lombardo Court. After the crashes, Kiyak was the only one who reported any injuries, according to police. Police said he showed signs of impairment and was taken to an area hospital, where his medical records showed “an elevated blood alcohol content,” Sgt. Jeffrey Dobratz said in a statement about the arrest. Police were able to get a search warrant for the medical records. Additionally, police said, Kiyak’s license was suspended at the time of the accident and his vehicle was not insured. Kiyak was arrested at his home on Thursday. He faces charges of operating under the influence, failure to maintain the proper lane, operating under suspension and failure to insure a private vehicle. Kiyak was initially held on $20,000 bond and was scheduled to be arraigned in Bristol Superior Court on Friday. Posted in The Bristol Press, Southington Herald on Friday, 18 January 2019 12:41. Updated: Friday, 18 January 2019 12:43.